My baby turned 1 recently! 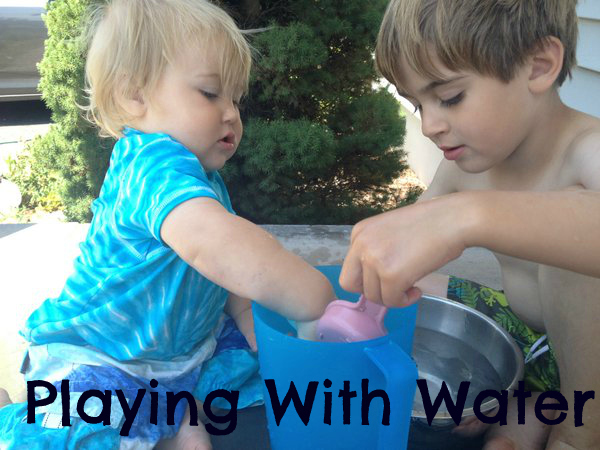 Because his favorite thing to do is play with water, we spent the day coming up with different water play ideas. It was a scorching hot day, so we were only able to get outside in short bursts, but when were were outside, we were having fun with water! 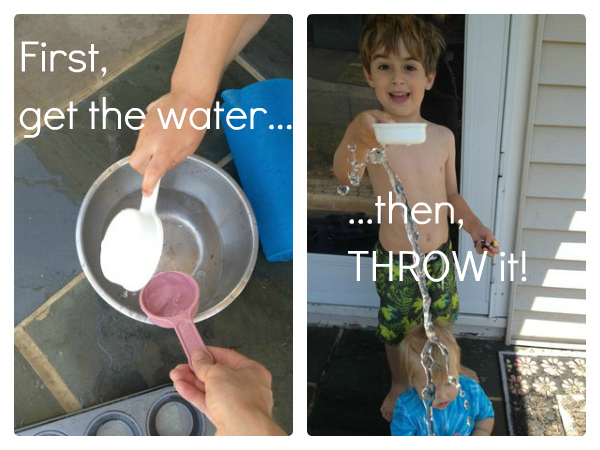 We started off with an old favorite, for the bath or outside: playing with bowls, and measuring cups, and water. We then tried to catch water using just measuring cups. We would dunk measuring cups into bowls of water, and then throw the water at each other, trying to catch the water in the cups. Next I got out some splat balls, I got at the dollar store, which were supposed to soak up water and create a huge splash when thrown. They didn’t really work well as far as soaking up water goes, but while I was trying to get them to work, my one year old came up with an even better game – and one that really works on his fine motor skills! 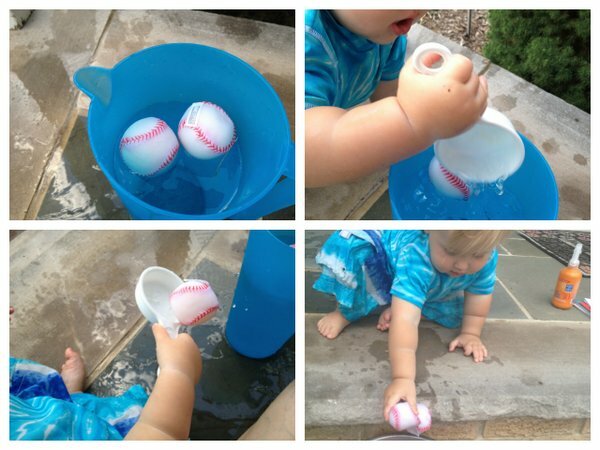 First, he placed the balls into the pitcher. Then, he scooped up the ball with the measuring cup. Finally, he threw the ball out of the measuring cup. He also played with just throwing the balls into another bowl. Our next trip out into the heat involved setting up a toy garage, complete with our own car wash and water slide! 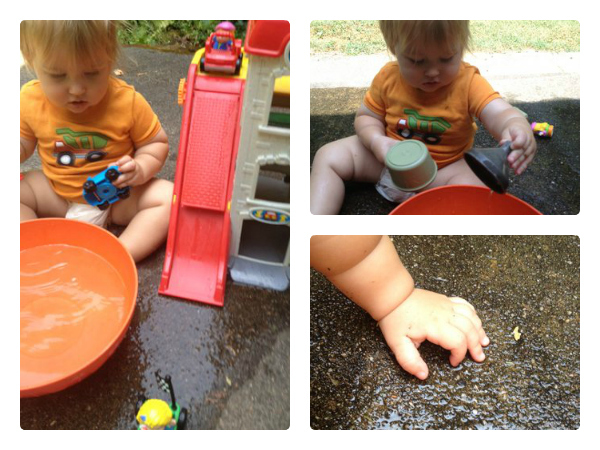 I also brought a funnel for him to play with, and he had fun just splashing around in the puddles he created. And for a perfect ending to a water day, my mother gave him a water table, complete with boats. We added some ice cubes for him to use as boats for a little extra cooling action.